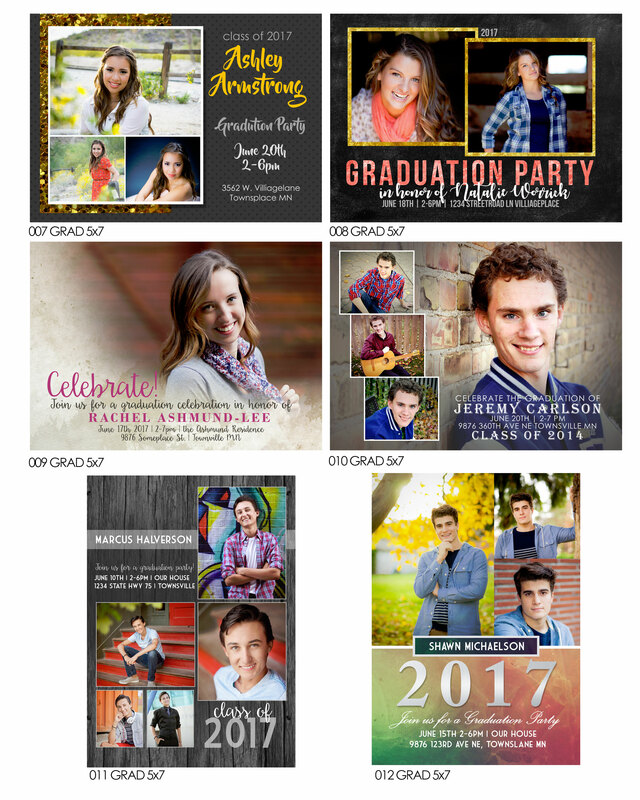 Pick the perfect graduation card for your high school senior. Two classic sizes available - 4x8 and 5x7 - and they are available in 2 finishes - glossy and lustre! Envelopes are included! No minimum quantities, order as little or many as you need. 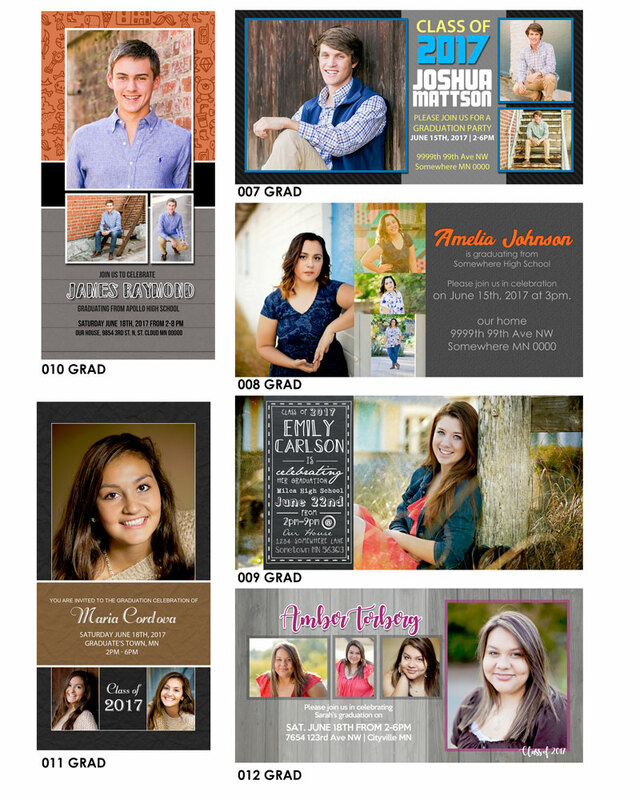 ** Do note we are unable to print double sided cards or on cardstock papers. 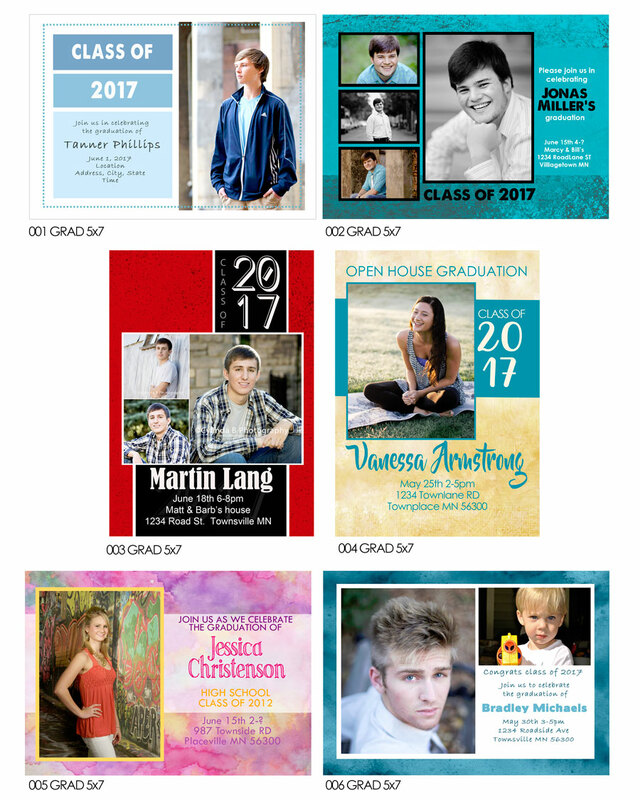 We have a collection of designs to choose from, or bring in your vision and we can custom create the perfect card for your son or daughter. 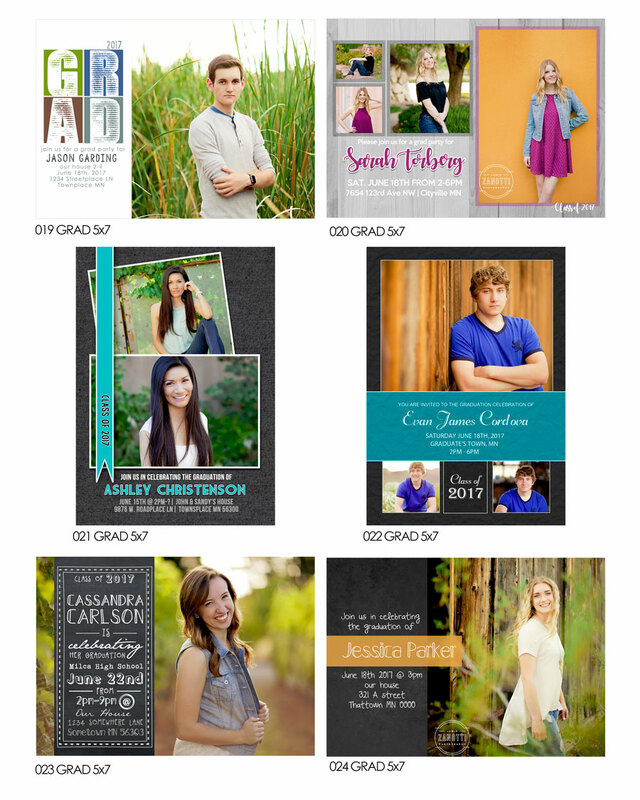 Stop in today and we will help you bring your grad's card to life. 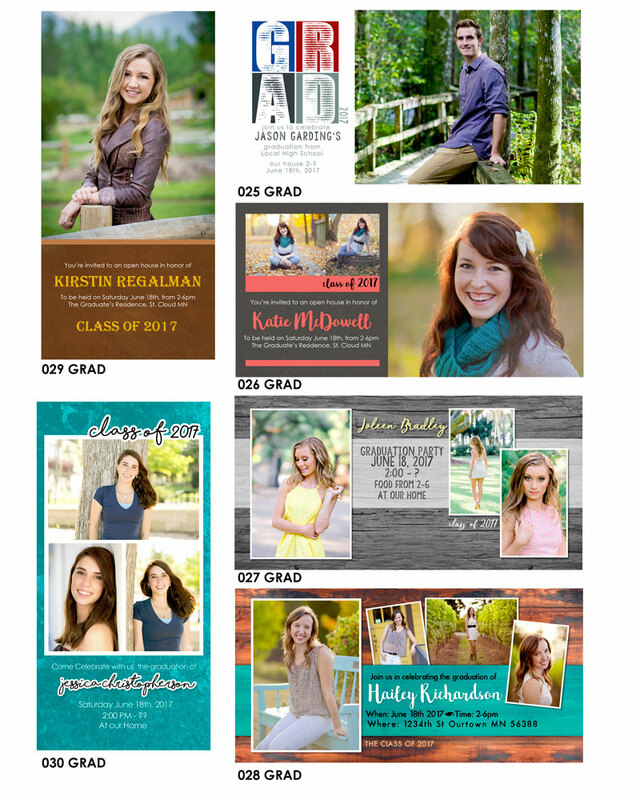 Have any questions about the grad cards? 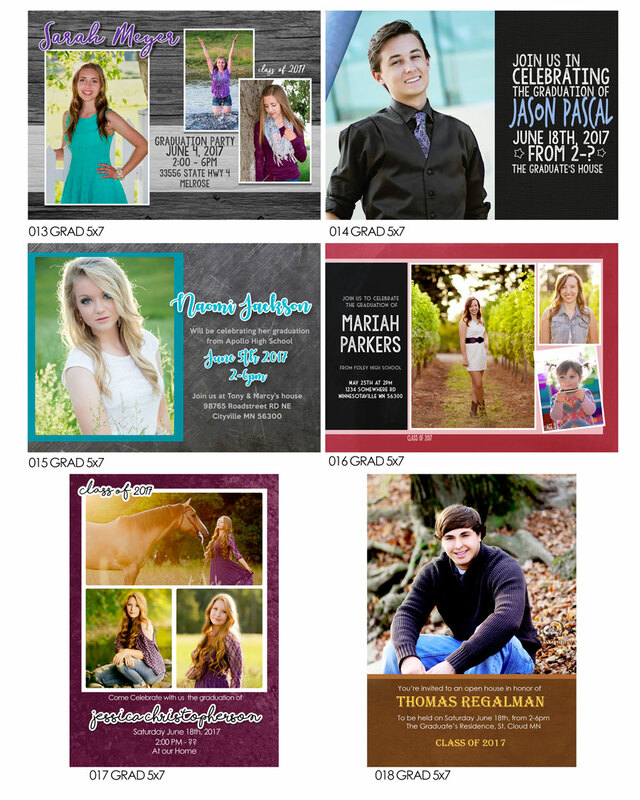 Customize the colors & words! 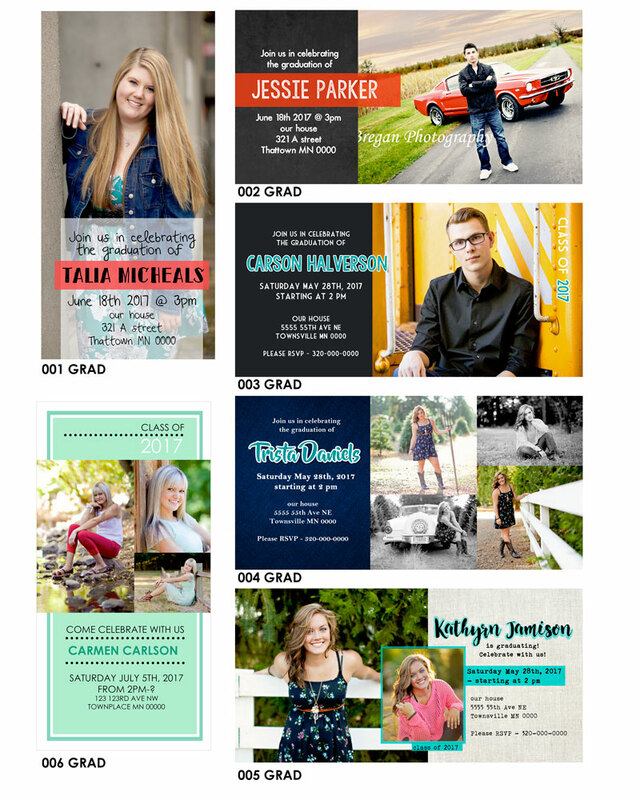 Don't see your high school? 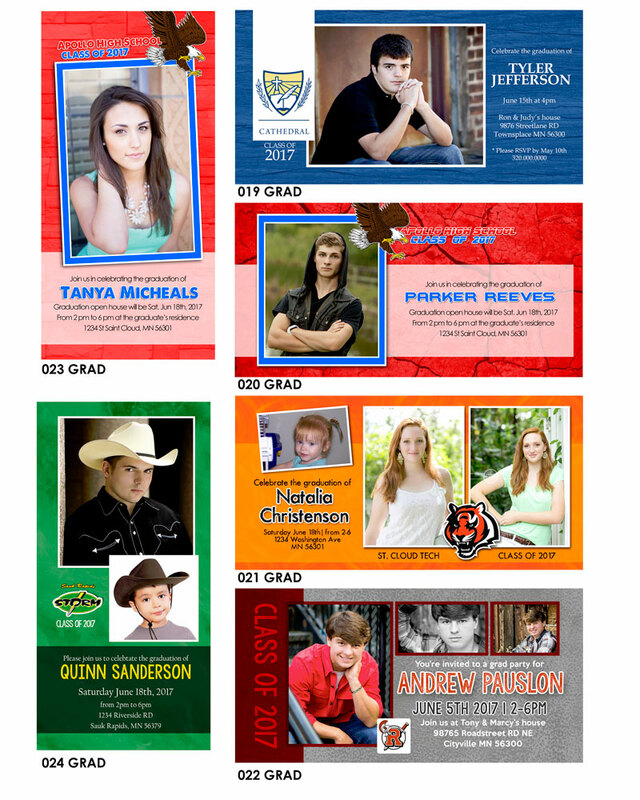 We can customize your grad's card for any high school. 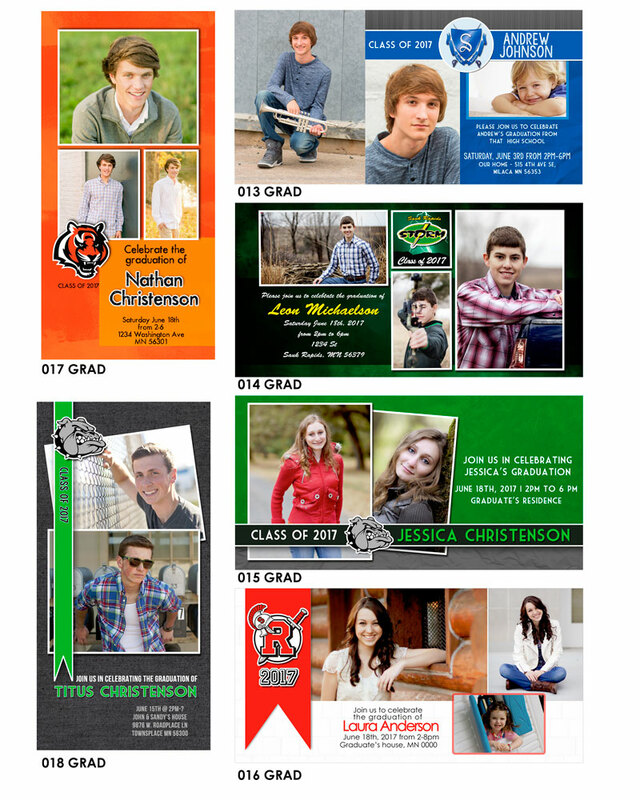 *standard set up fees include placing your photos into the card design, customizing colors and information on the card. 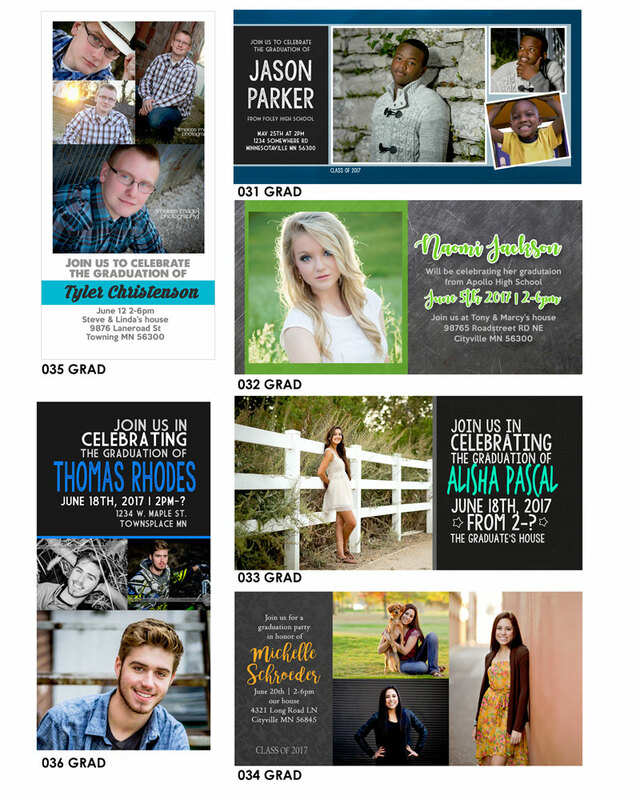 **custom design fees include designing the cards from scratch to fit your grad perfectly - don't worry, you'll get a proof of the card before we print it!